The football game was like any other: cheerleaders, adoring fans, and, of course, the famous wildcat mascot. But when Brittany, the mascot, commits suicide by jumping off of a cliff, everything begins to change at Winship. 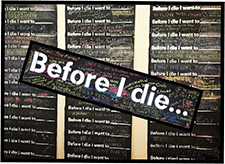 Now it is up to the mystery club to find out why she killed herself and who is responsible. Let the mystery begin. Benny (AKA: Scooby) is in charge of the mystery club and has had a passion for solving the mysteries in his life and in his private school, Winship Academy. So when Brittany kills herself, he knows he has to solve the case. His plans change, though, when Virginia, the secretive girl who lives at the dorms of Winship, tags along for the case. Soon enough, Benny and Victoria discover that nothing is as it seems and that nearly everyone at Winship has a motive: the cheerleaders, the principal, and especially the students. 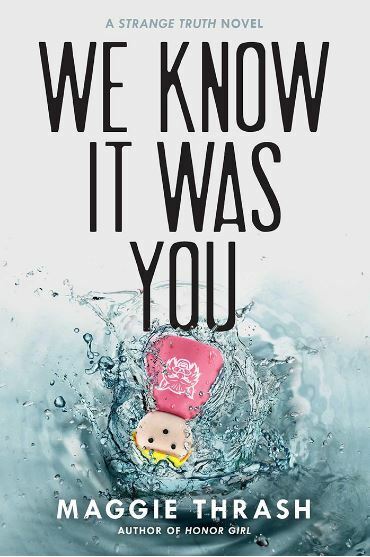 From perverted school faculty to mascot suicides, We Know It Was You is a novel that is unlike anything else in the YA genre today. With suspects around each and every corner, Benny and Victoria must discover why the mascot killed herself and who is out to get the students at Winship. Even from the first couple of chapters, I was addicted to We Know It Was You. As an avid fan of both contemporary fiction and action-thrillers, this novel was a perfect blend of both genres. There was plenty of suspense, a hint of romance, and an abundant supply of dangerous and even crude content — which transported me right into the walls of Winship, a high school unlike any other. Maggie Thrash has brilliantly crafted a story about the darkness in all of us and how even the most innocent of humans has something to hide. There was virtually nothing to complain about in We Know It Was You. The writing was gripping from start to finish, and Thrash’s dark sense of humor was present throughout the story, making the novel stand out to me personally. The only aspect of the novel that I found to be a bit disappointing is the amount of characters; there are so many that, at some points, I had to skim back through the book to figure out who was who. This one small setback was only minor, though. This is still a mystery that I was completely absorbed in. 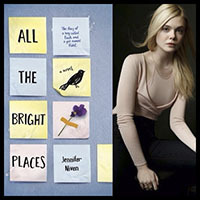 For fans of Papertowns and Beware That Girl, this is a novel to look out for. If not for its intensity and the slight romance, fans are sure to enjoy the enormous amount of honest, dark, and sometimes completely rude humor throughout the story — which was fantastic to see. We Know It Was You was very enjoyable to read, and I am sure teens of all ages are going to be huge fans of Thrash’s work, as I am. Grab yourself a copy and follow the mystery club as they search for the truth and discover that Winship is not as squeaky clean as everyone thinks.